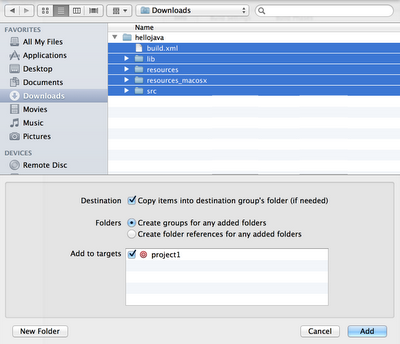 Please choose the bottom blue download button in the download page. 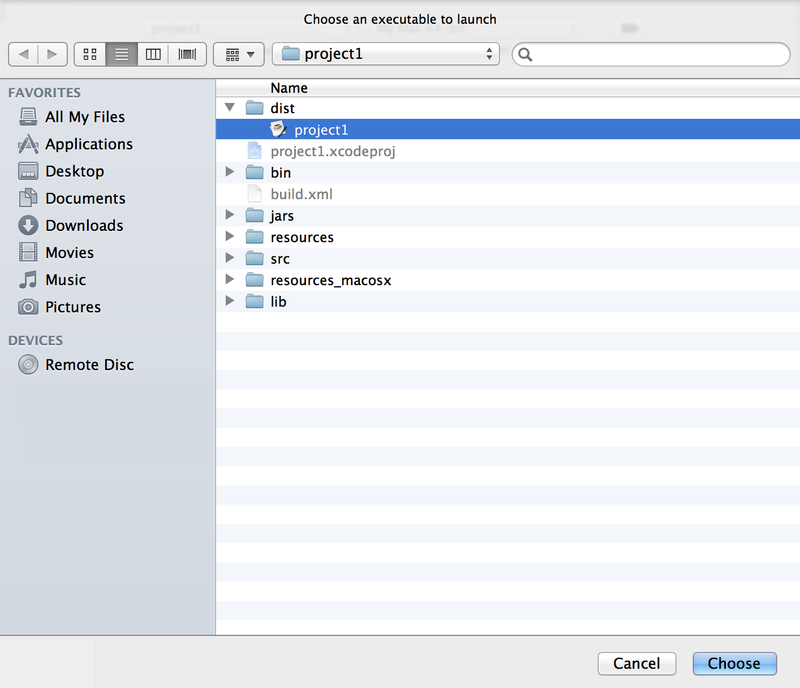 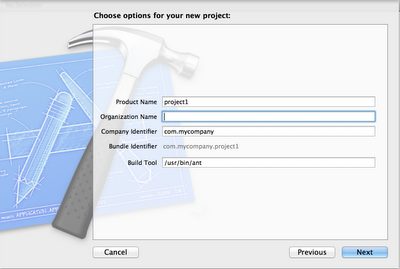 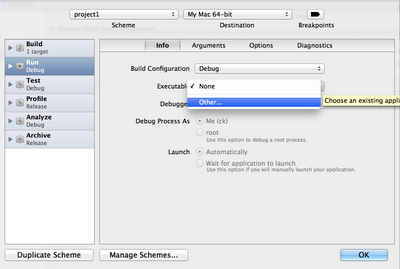 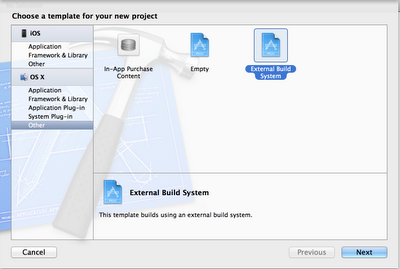 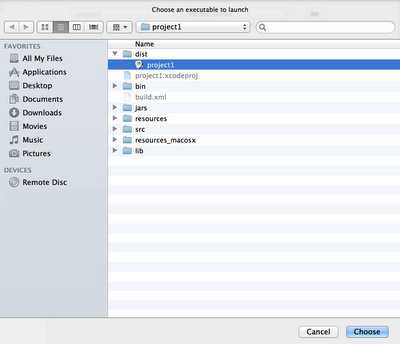 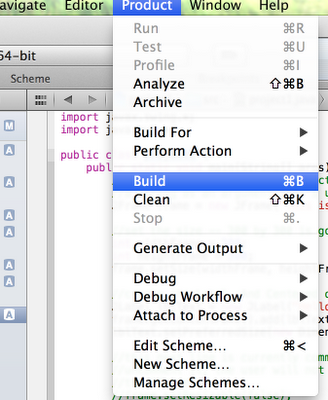 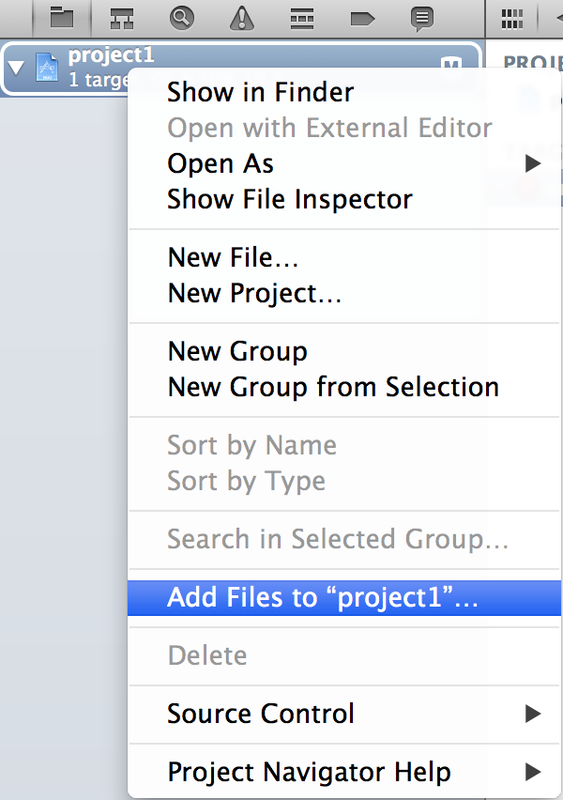 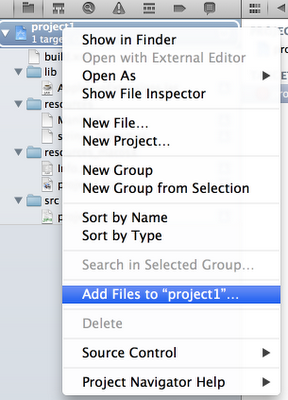 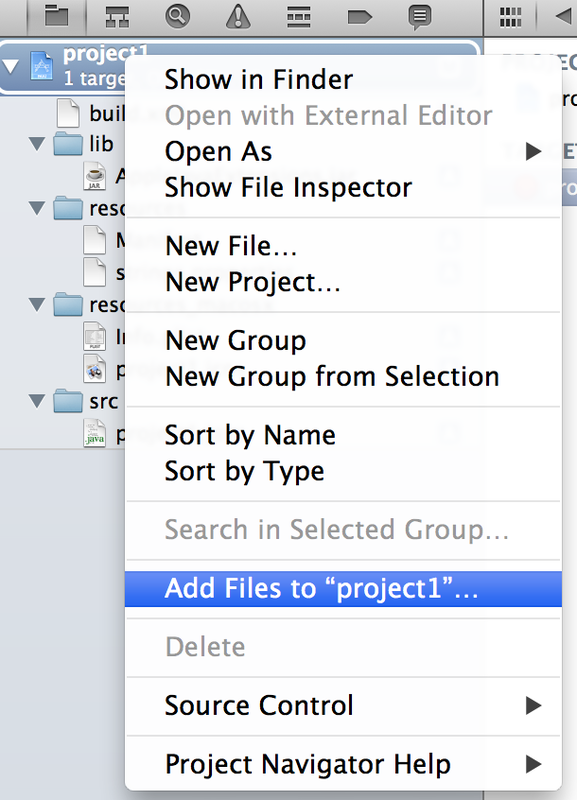 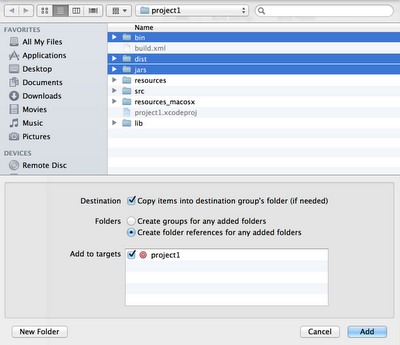 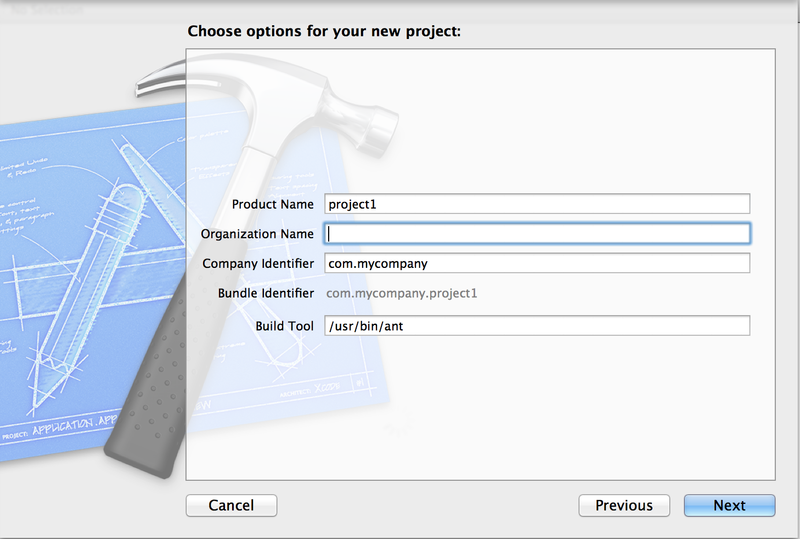 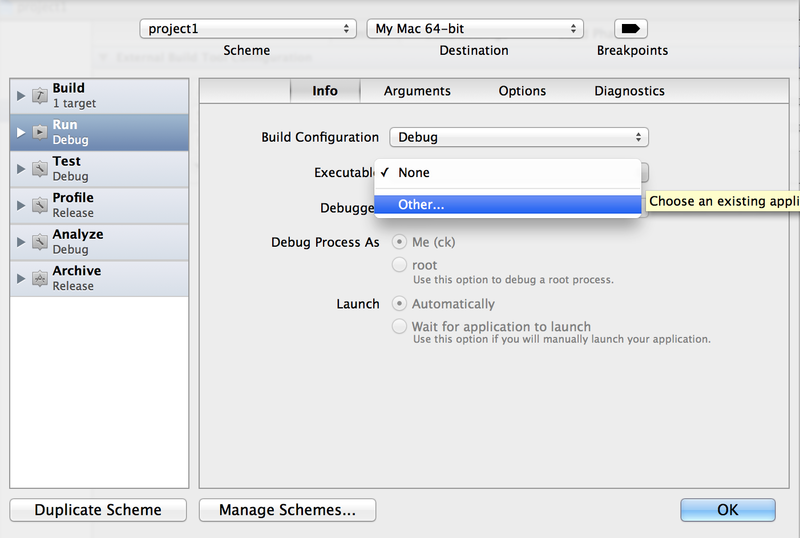 (2) Create a new project in XCode 4, Choose "Other" -> "External Build System"
(5) Right click your "project1" in XCode 4 and Choose "Add Files to project1"
Select "Copy items into destination group's folder (if needed)" and "Create groups for any added folders" and Press "Add" button. 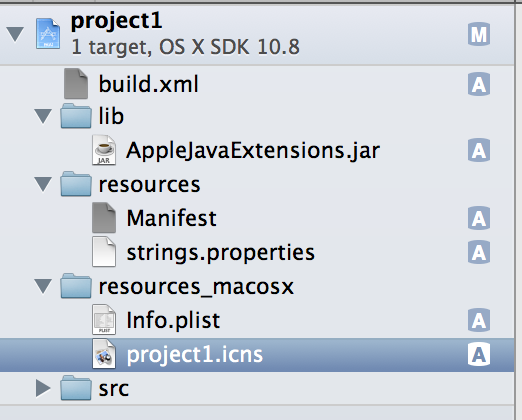 (7) Edit build.xml and change the Project name attribute from "hellojava" to your Product Name say "project1"
(8) Edit Manifest and change the Main-Class from "hellojava" to your Product Name say "project1"
(9) Edit the filename hellojava.icns to Product Name say "project1.icns"
(10) Edit the filename hellojava.java to Product Name say "project1.java"
(14) Choose folders (bin, dist and jars) from your save project location. 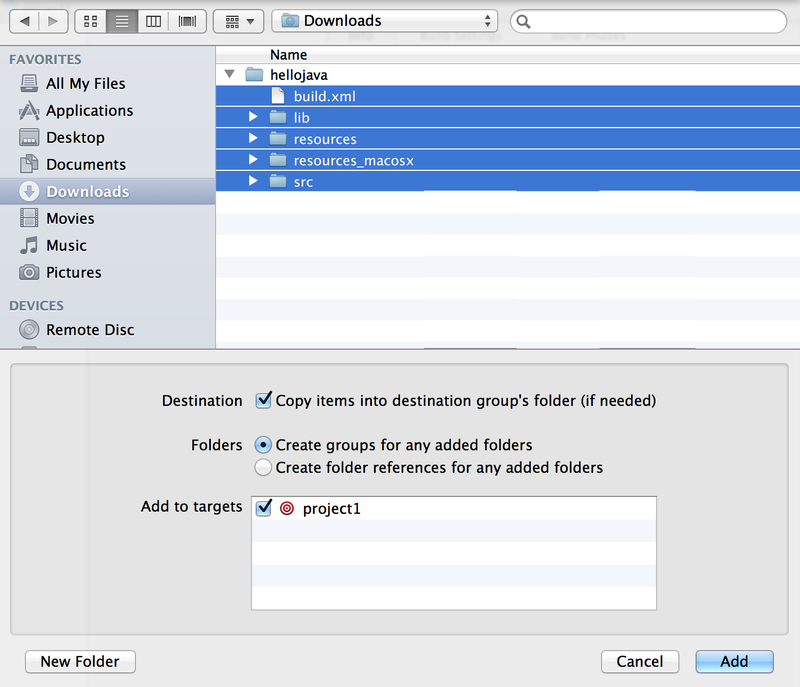 Select "Copy items into destination group's folder (if needed)" and "Create folder references for any added folders" and Press "Add" button. (16) Select the "Run" Scheme and change the Executable "None"
(17) And Choose the "project1" app under the "dist" folder of the saved project location. (18) Repeat the steps 16 and 17 but for the "Profile" Scheme. 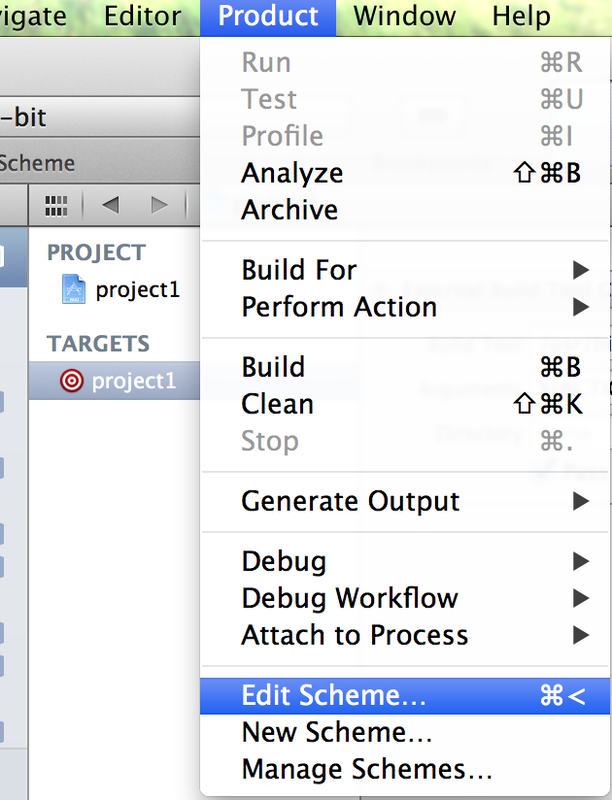 (19) Press "Command R" to run. 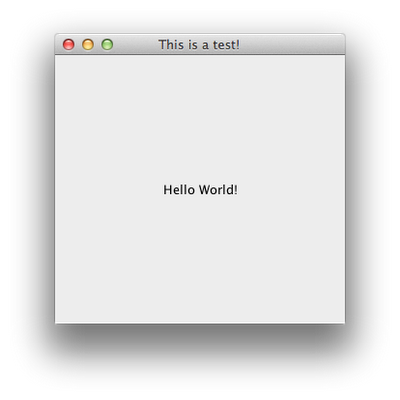 And a simple Hello World app is created with java source code. 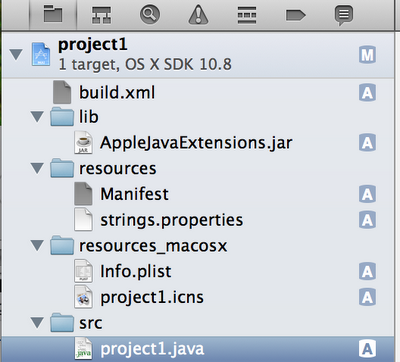 (20) Modify the source code in "project1.java" to proceed further. 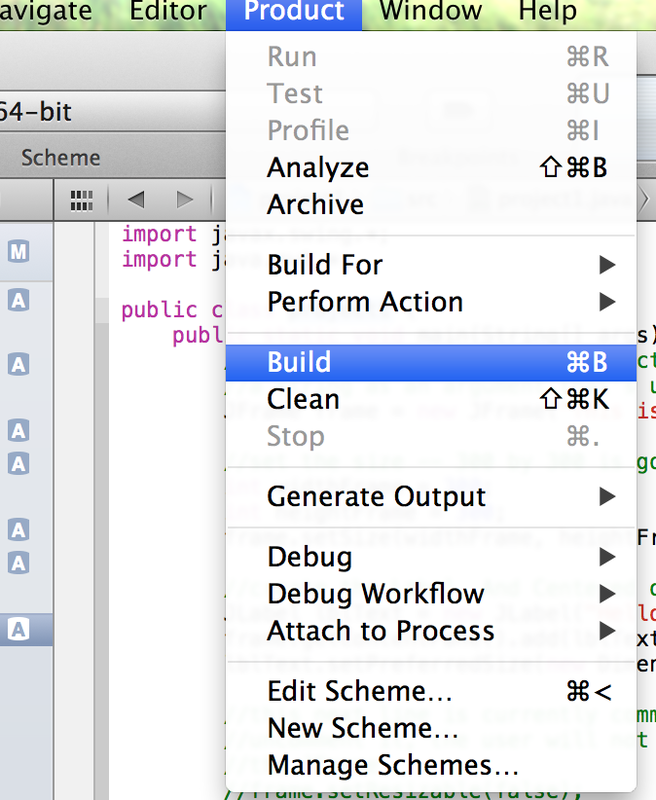 To Run after build (Command R), you have to do steps 15 to 18 above. Its a good project but do not for the beginners as it is not so easy..
on line 17 of the build.xml file. 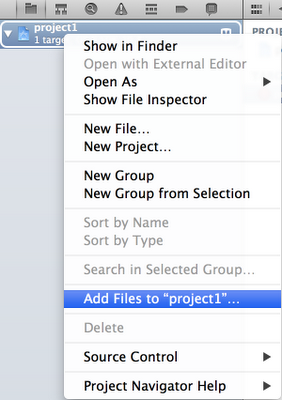 I had to give rwx rights to the product file to be able to choose it as an executable. Is that right? 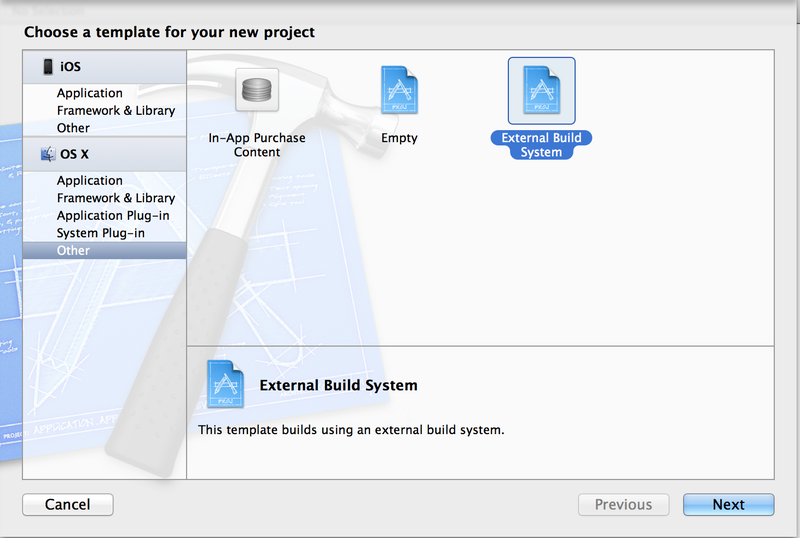 the download links of your templates don't seem to work. Do you still have them by any chance ?